Hello nail friends! How are you? August is cool-toned, medium cement grey creme. It's definitely got bluish-purple undertones, and I found it very flattering! This is a color that's a bit underwhelming in the bottle, but lovely and interesting on the nail! Love! Dries a slight bit darker than liquid bottle color. Formula: Unless you use a pretty thin coat, this is actually opaque in one coat- nice! The texture is creamy, self-leveling, medium-thick viscosity, and seems to dry down quickly as well. I used two easy coats for swatches, A+! Mallory is a midtone-to-darker, neutral undertoned blue creme. It's quintessentially blue, and I love it! It's rich and saturated, dark enough for Fall, and yet you can always tell that it's blue! It also dries slightly darker than bottle color, but it's almost imperceptible. Wyatt is a rich, medium hunter green creme that looks slightly cooler-toned in the bottle than on the nail. I was so looking forward to this one in particular, and it doesn't disappoint! It does dry down to a more cooler-toned shade like in the bottle. Formula: It's super similar to Mallory, which is to say: excellent! Creamy, pigmented, applies effortlessly, opaque in one coat! (I also used two for swatches.) A+! It does dry significantly darker than bottle color, moreso than the others. Formula: Very similar to the previous shades. It's creamy, pigmented, and opaque in one coat (! ), but I feel like it doesn't self-level quite as perfectly as the others. It's still easy to apply, and does self-level a bit- just not totally all the way at the edges (top coat completely fixes this.) Very nice, overall. Tara is a deep aubergine or red-based, plum purple creme. Very pretty! It dries slightly darker than bottle color, but like Mallory, you almost can't tell at all. Formula: Like the others, it's creamy, pigmented, and a breeze to apply. One coat is mostly opaque on its own, but in some areas I could see a little more light shining through- not patchy exactly- just not as evenly deep. So, so close to opaque though. Two easy coats were perfect, and the color did deepen slightly. This is a color that photographs much lighter than it actually is! In the sun, it actually looks a lot like the macro photo on the left ^ there (Sorry about the tipwear- I wore this one for a day before I had a moment to swatch! ), but indoors it's much deeper: noticeably not black, but definitely less red, more of a vampy brown oxblood. Formula: It's definitely more of a crelly formula in texture and opacity than the other cremes here. You'll need two coats because of that, but it's absolutely worth it. The texture is wonderful, just like the others, and goes on by itself. It does deepen quite a bit after the second coat, and is a bit "juicier"-looking. Overall, super nice! I spent quite a bit of time combing through my oh-so-hopelessly-disorganized swatch stick collection to pick out some similar shades for comparison purposes! I think Illamasqua- DWS (and to some extent Nubar- Palisade) are close enough to be considered dupes to August in most lighting! I was surprised to find I didn't have an exact dupe to Mallory, but Zoya- Sia and Essie- Mesmerize are actually very close in person, especially in normal ambient light! I think Wyatt is described as a "hunter" green, but Zoya- Hunter is actually a lot warmer toned. Just thought that was funny! Wyatt is very, very close- pretty dupish, actually- to both classics OPI- Jade Is The New Black and Essie- Going Incognito (a fave!). No dupes for Noah in my collection! Most of my nudes are much pinker-toned in comparison! In person, Tara is pretty similar to OPI- In The Cable Car-Pool Lane, and you probably wouldn't be able to tell them apart unless in direct sunlight. Zoya- Lidia is a lot darker in person and purpler in comparison. Like I said before, this color photographs much lighter than it appears in person. These shades are all quite a bit darker in reality. Essie- Bordeaux is very, very similar to Courtney, just a touch lighter. Bordeaux is more jellyish, while Courtney is somewhere between jelly and creme. I thought Zoya- Pepper was going to be a creme dupe, but it's not! Way browner! In person OPI- Malaga Wine (also a crelly, IIRC) is also super similar, and you might not distinguish between the two unless in bright light. So, it seems I have found some dupes! 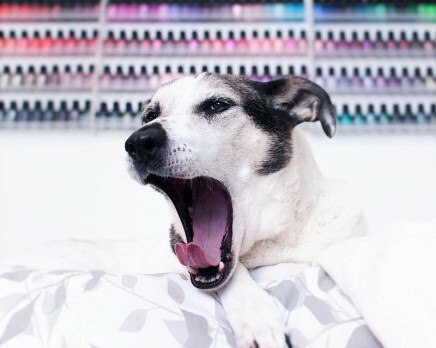 That said, none of the similar shades come anywhere near these new Zoyas in terms of formula quality. Just sayin'! Overall, I think this is a super strong set of cremes! 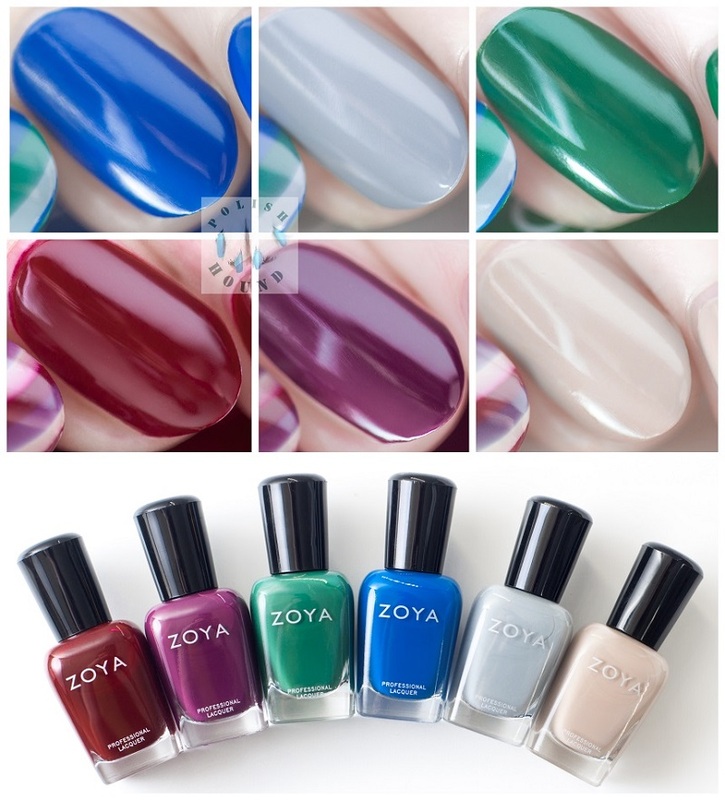 With every new set of seasonal cremes released, Zoya's formula just gets better and better! These are very nearly flawless! I could not actually believe that four of the six were opaque in one easy coat! The last set of cremes billed as "one-coat," were last Summer's Sunsets polishes, and I found none of them to be entirely, perfectly opaque in one coat (although they were still very good.) Well, most of the Urban Grunge cremes are! Color-wise, I think there's a shade here sure to please everyone! Most will flatter all skin tones, with the exception being Noah, which was not super duper flattering on my cool-toned, light skin. Some were surprisingly flattering for me: Tara & Wyatt! My favorites are Courtney, August, Tara...actually, every shade save Noah! Haha! Oh, and by the way, these water marble nicely! All spread readily in the water save Noah, which was just slightly resistant (but you can still easily work with it)!